Whomp whomp. There're no A-10 Tank Destroyer (Camo)s for sale. 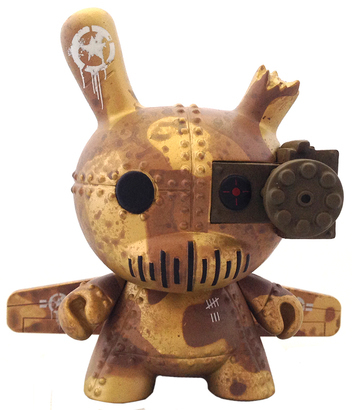 Designed by DrilOne, a US designer and vinyl toy artist. His work has a post apocalyptic, military vibe. This is an exclusive. The figure also comes in Soviet (Red) a chase, Silver 1/60, and Olive 1/20 ratio.